If you are the parent of a child that has a hidden disability such as ADHD, Asperger’s Syndrome, or Obsessive Compulsive Disorder, you know that new situations can be challenging. Still, when signups for a soccer camp or try-outs for gymnastics come along, you see a golden opportunity for your child to have fun, make new friends and be part of a team. But will the coach understand and accommodate your child? Some coaches have had plenty of experience with children of all abilities. Other coaches are college students who are volunteering for the summer, or parents who have not encountered a child like your own. 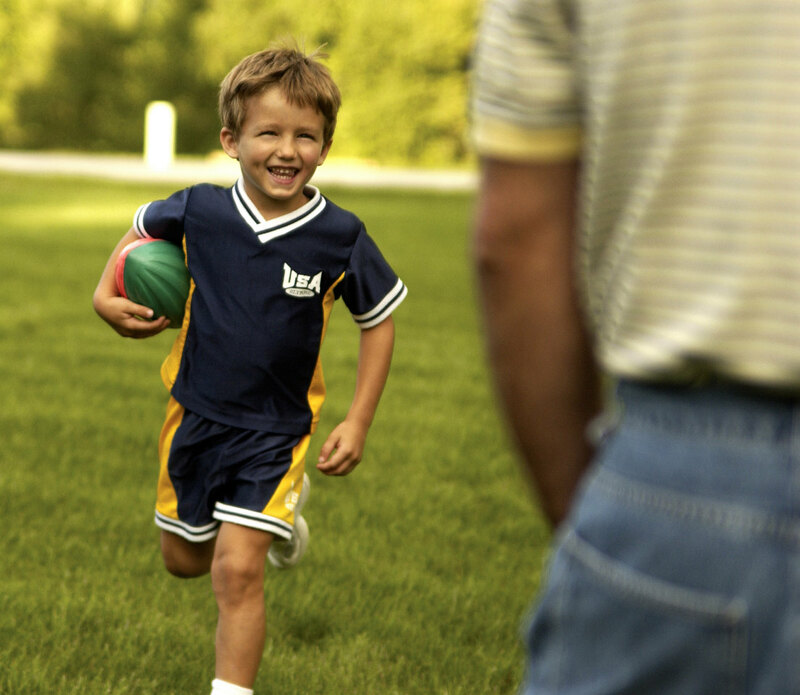 It’s up to you to build a relationship with your child’s coach to ensure a good experience on the field. Here are some tips to get communication the ball rolling. Explain your child’s situation to the coach. This can often times be the most difficult step to take. You may be concerned that your child will be labeled as a “problem” child or that the coach won’t give your child as much playing time. These are normal concerns and it is up to you to make sure the coach sees the “whole child” and not just the disorder or disability.So how much information does your child’s coach need? As a rule of thumb, you should only tell the coach what they need to know. Give them balanced information on your particular child, as well as the disability that they have. There is no need to get in depth with the coach, such as detailing symptoms that won’t crop up on the field. Be honest about behaviors the coach may encounter. Remember, coaches are often times volunteers. They may not have any experience dealing with children who have special needs. Give specific examples of the types of behaviors your child is most likely to exhibit to the coach. By letting the coach know what to expect up front, they will be able to better recognize behavioral patterns that they may not be used to. Discuss behavioral management guidelines with the coach. When you do this, you will put their mind at ease on how to discipline your child. After all, no coach wants a player to think they are “mean,” and they definitely do not want to mistreat a player that may have extenuating circumstances. If you get together with the coach and set down behavioral guidelines, they will be able to better communicate with your child, set rules, and know what type of discipline works. Learn the routine. Get a copy of the practice schedule well in advance and be sure you know when and where each game is held. Make a calendar at home that shows these dates, and be sure to go over them with your child. Give your child plenty of reminders before a practice session or game, to allow her time to adjust to the new schedule. Be a great cheerleader. If possible, stay and watch practices. Do not interfere with the coach, but be prepared to offer encouragement from the sidelines, just as you would during a game. This extra confidence booster will help your child, but it also shows the coach that you are dedicated to providing the extra support and encouragement that your child needs. Be available after each practice to discuss any behaviors that the coach wants help with. Encourage equality. Work together with the coach in order to ensure that your child has a good time, and that he or she is treated just like everybody else. If you are open and honest with the coach, and you welcome feedback, he or she should feel comfortable and confident in helping your child have fun and be a true member of the team. By starting and maintaining an open relationship with your child’s coach, you will be able to address and prevent any problems that may occur. Let these tips guide you from the first day of practice until the last game of the season.